Pointing out that the AAP had completely lost the support of the people, Amarinder clarified he had not at any stage mentioned that he was open to an alliance with the AAP in Punjab. 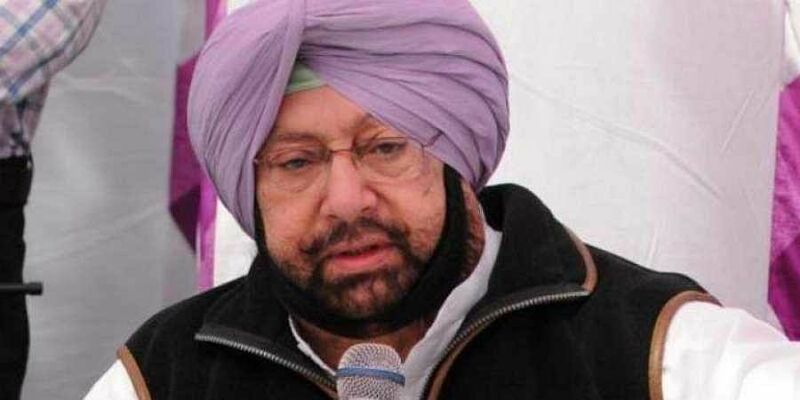 CHANDIGARH: Punjab Chief Minister Amarinder Singh on Tuesday asserted that the Congress did not need any alliance in the state to fight the 2019 Lok Sabha elections. Given the public sentiment in Punjab, where the Congress had won all the recent elections (including Gurdaspur and Shahkot) with record margins, the party did not require any alliance for the parliamentary elections next year, he said. Pointing out that the AAP had completely lost the support of the people, Amarinder clarified he had not at any stage mentioned that he was open to an alliance with the AAP in Punjab. "The fact is that given the Congress sweep in all recent elections, beginning with last year's Assembly polls, the party do not really need any political coalition for the parliamentary polls." He, however, reiterated that the final decision on pre-poll alliances rested with the Congress high command. Alliances are the prerogative of the national leadership and it will take a decision at a suitable time, he said, adding that several factors, including winnability, are usually taken into account before going in for an alliance. "The Punjab Pradesh Congress Committee (PPCC) will share its views with the party high command as and when the latter seeks the same." As in the past, the national leadership will take into account the ground situation in every state and the opinion of the state unit before taking a final decision on any alliance, he said, adding that the PPCC would be internally discussing the issue to build a consensus on the matter.